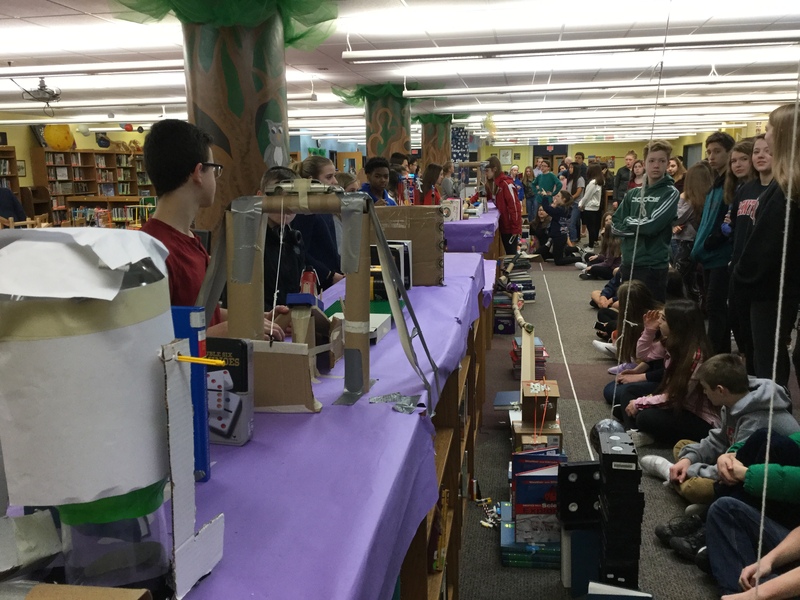 Readington Middle School celebrated New Jersey STEM Month with two massive collaborative STEM projects that brought over 380 students into the Library Media Center. Kicking off the festivities was a science design project for the sixth grade that started on New Jersey Makers Day. Using the Extraordinaires Design Studio kit, students were broken into groups and given a fantastical “client” that needed a product designed for them.